With hybrids and EVs requiring less braking capability, automakers should take the opportunity to improve ride quality for American roads. Use 13 inch wheels, combined with the 670 mm diameter tires common on midsize sedans. With a 215 mm section width, common on all but the base model trims today, that gives a 215/80R13 tire. 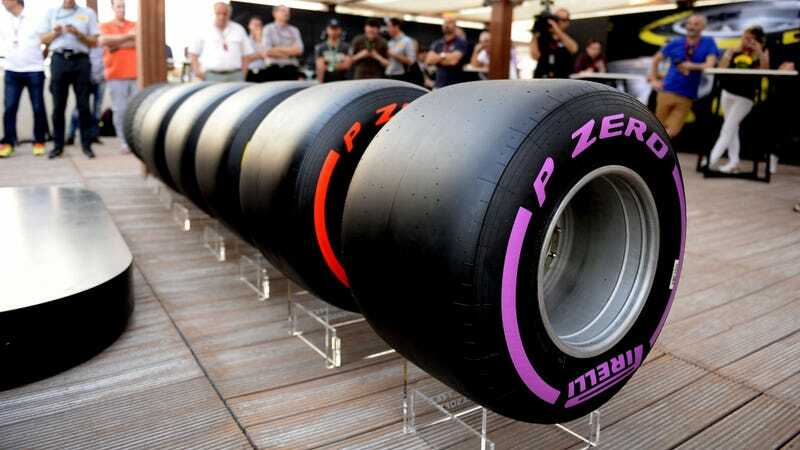 And, you can market it as Formula 1 technology - it’s the same wheel and tire diameters after all! Or, on compacts, with the 635 mm diameter tires common on them, 195/80R13 works just as well. For subcompacts, with 610 mm diameter tires, 175/80R13 will do nicely. This will also improve efficiency, a supple sidewall that returns energy to the tread rather than absorbing it greatly reduces rolling resistance.